Another busy Friday afternoon! I received a request for quote from Mike, a manager at an electrical connector manufacturer in Virginia. His company was producing electrical connectors for various customers in telecommunications, industrial automation, medical technology, and automobile electronics. His team needed to replace the lubrication oil of one of their injection molding machines. 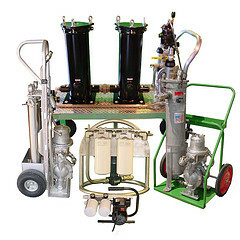 The manufacturer of the machine recommended that they use a portable filter cart to successfully perform the oil transfer, so Mike originally contacted us looking for a mobile filtration unit that could filter and transfer lube oil into their molding machine. We ended up giving him something better. If you weren’t already aware, new oil is not “clean” oil. It typically has an ISO cleanliness code of 23/21/18 or worse in many cases. Water contamination in so-called “new” oil averages between 200 to 300 parts per million. This low level of purity is definitely not good enough to be used for lubricating oil in an expensive machine such as an injection molder. The manufacturer of the machine had told Mike that he needed to filter oil down to 3 micron cleanliness prior to adding it to the reservoir. 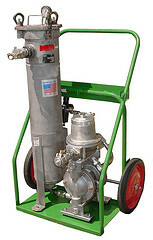 The lube oil was being stored inside of a 55-gallon barrel, so even though Mike originally requested to rent a mobile filtration cart, I sent him a quote by 11:00 AM that Monday for renting our Drum-Top Filtration Unit instead. The reason I suggested a unit different from what Mike requested is because our Drum-Top Filtration Unit was more appropriate for his situation. It can sit securely on top of a 55-gallon barrel, it has a strong, powder-coated steel frame, and it’s welded by hand. The two-stage filtration system removes both particulate and water contamination, so I knew it was perfect for the application. Mike responded to my rental quote by asking to purchase a unit instead of just renting it! I also suggested that he include our suction drum-top adapter which would’ve allowed him to pull the oil directly from the barrel. This accessory included a stainless steel wand, a quick-disconnect adapter, and a breather filter to protect the oil from air contamination. Several months later I gave Mike a follow-up call and found out that he used the drum-top filter unit a few times, and even sent out two samples for testing, both of which achieved their target ISO cleanliness levels. Success once again! 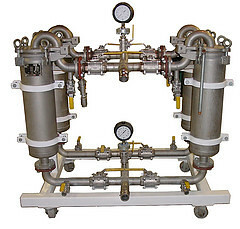 Do you have a question about portable filter units or filtering lube oil? Feel free to contact us anytime. 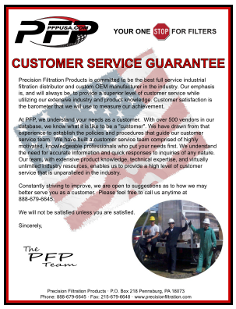 Our friendly team of experts will be happy to help you out with your particular issue.